Flein is south of Heilbronn in Baden-Wuerttemberg. This community with approx. 6,800 inhabitants is idyllically surrounded by vineyards, fields and forests. The vine-growing industry, the most traditional industry of this town, plays a major role for the people and dates back to the 8th century. The town hall was built in the 1980s as part of a new building in the centre of the town. The building embodies the urban and architectural specifications of that time. 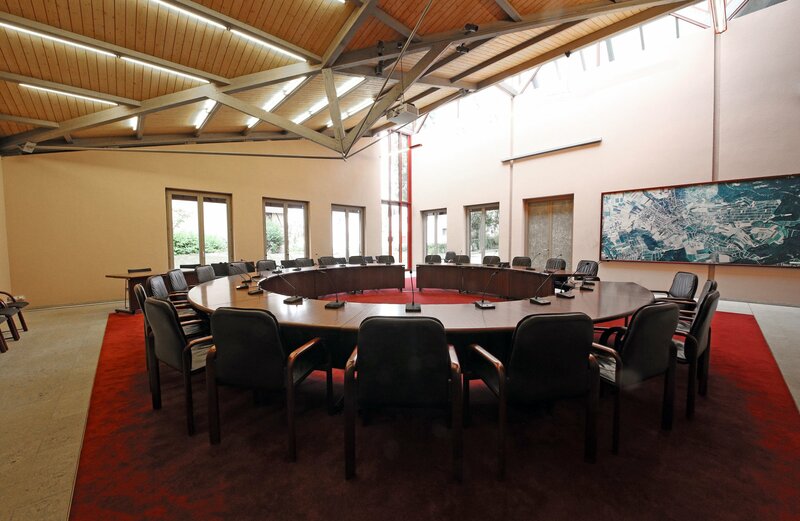 The boardroom with foyer should become the centre of the town hall and the building itself a house flooded with light which should represent the transparent communication between the 18-member council and the community. 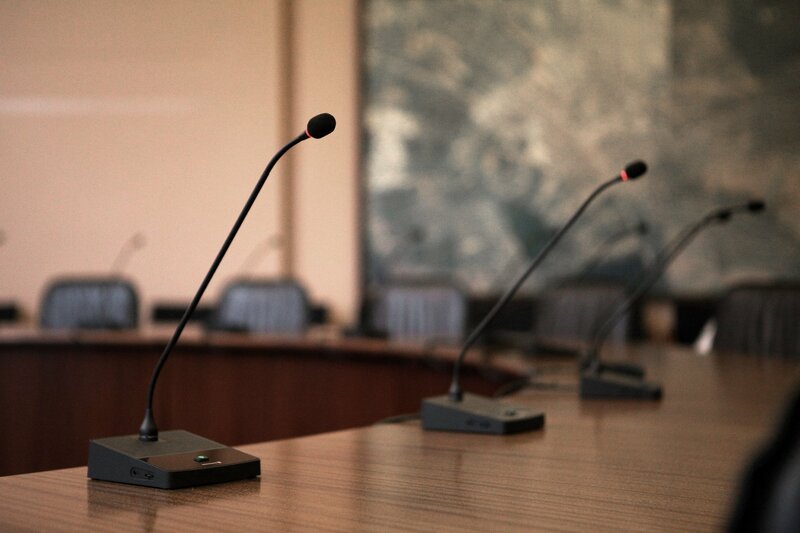 The boardroom of the town hall was equipped with the wired Orbis conference system from beyerdynamic at the end of 2014. Features such as easy handling, operational reliability, the use of high-quality materials and the optimal sound meet the requirements and demands of the customer. Tangible buttons with Braille and a separate headphone output for assistive listening allow equality in the conference. Due to the design and the compact size, it was possible to integrate the control unit of the system discretely into the room and allow functional adaptations such as changing the volume during the meeting. A total of one Orbis CU control unit, 22 Orbis MU 21 delegate microphone units and one Orbis MU 23 chairman microphone unit with Classis GM 315 Q gooseneck microphone were installed. 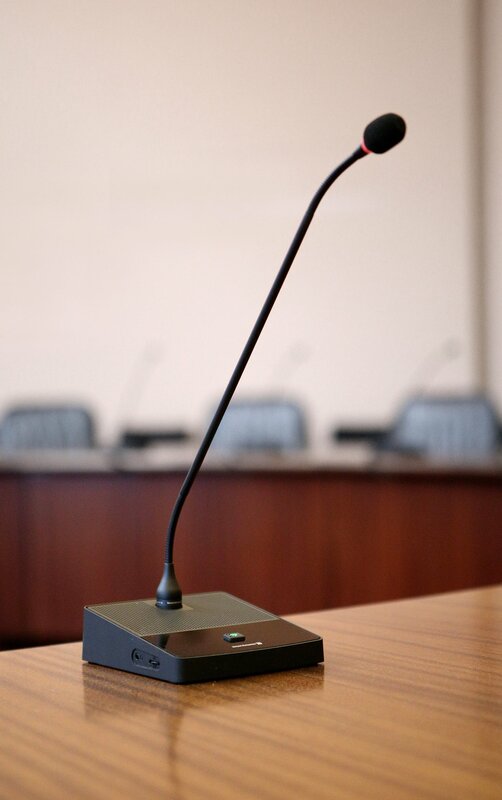 Numerous other town halls use conference systems from beyerdynamic such as Essen, Karlsruhe and Constance.